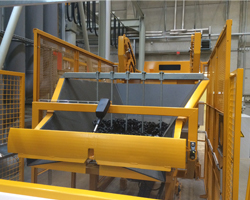 Understanding the need of quality vibration system, Ganesh Quality Machines Pvt. 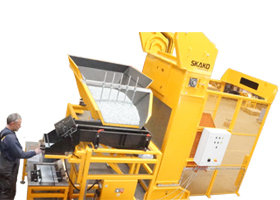 Ltd. represents Skako For India region. 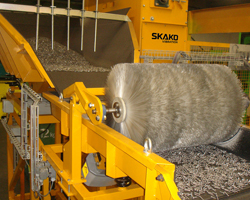 SKAKO Comessa resulted from the successful merger of two of Europe's leading vibration engineering companies, the Danish company SKAKO and the French company Comessa SKAKO was founded in 1963, and originally concentrated on the design, development and manufacture of light to medium duty electro-magnetic feeders and screens. Comessa dates back to 1920, and concentrated on the design, development and manufacture of heavy duty mechanically driven screens and feeders. 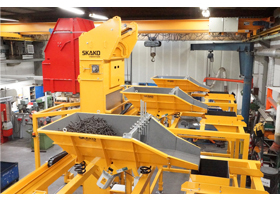 Today Skako is one of the largest European producers of vibratory feeding, conveying, and screening equipment, used across the complete spectrum of material handling and processing. The principle aim of SKAKO VIBRATION is to develop solutions, utilizing vibration engineering technology, to meet the present and future individual needs of our customers, whilst simultaneously strengthening their position within their market, and providing added value to their business.We strive to reach this goal by applying a high degree of knowledge, flexibility, and the understanding of our customers' actual requirements. Today it is one of the leading suppliers of vibratory equipment, represented globally by a mixture of subsidiaries, agents or distributors.